In the City of Morden, on May 30th, 2016, City Council resolved to INCREASE FUNDING to its Integrated Pest Management Plan which will RAISE THE BUDGET TO 150,000 DOLLARS, because of Manitoba’s Lunatic NDP 2013 Provincial Prohibition. Morden is a city located in southern Manitoba, Canada, south of the Winnipeg Capital Region, with a population of almost 8,000. That means broad-leaved weeds will be tackled with MORE FREQUENT APPLICATIONS of Fiesta Herbicide, the ONLY product allowed by Manitoba’s Lunatic NDP 2013 Provincial Prohibition. BACKGROUND INFORMATION ― IS FIESTA TOO GOOD TO BE TRUE ?!?! ― Because of the imposition of reckless prohibition against conventional pest control products used in the urban landscape, home-owners and professionals are being arbitrarily forced to rely on inferior green alternative pesticides like Fiesta. Unfortunately, prohibitions are often imposed under the pretext that Fiesta is somehow economical, efficacious, effective, lauded, less toxic, and low-risk when compared to conventional and prohibited products like Killex and Par III which contain the active ingredient 2,4-D ― THIS IS FALSE ! In fact, observers have determined Fiesta is high-risk, ineffective, inadequate, more toxic, overwhelmingly condemned, and stunningly expensive ! Nonetheless, anti-pesticide activists and government officials, as well as the manufacturer of Fiesta, persist in perpetuating the lie that prohibitions are a success because Fiesta can somehow successfully replace conventional products such as Killex and Par III. Fiesta DOES NOT WORK when compared to conventional products like Killex and Par III. It is wrongly assumed that Fiesta somehow works as well as conventional pest control products like Killex and Par III ― THIS IS FALSE ! Fiesta does not work since weeds are NOT controlled or destroyed ! Conversely, Killex and Par III DO control weeds and DO destroy weeds. Fiesta does NOT work since it does NOT control weeds, it merely suppresses them. All rates of Fiesta have shown some re-growth of dandelions regardless of which of the rates were used. With Fiesta, there is considerable re-growth, back to similar levels before treatment. And, by the following spring, weed re-growth is back up to the same level regardless of the rates used. Fiesta DOES NOT WORK AT ALL unless excessive repeat applications are performed ! This is the reason why Fiesta is INFERIOR ! Moreover, tests have revealed that there is actually an eventual increase in weed cover, with all Fiesta rates, for species like dandelion and black medick. This is another reason why Fiesta is INFERIOR ! 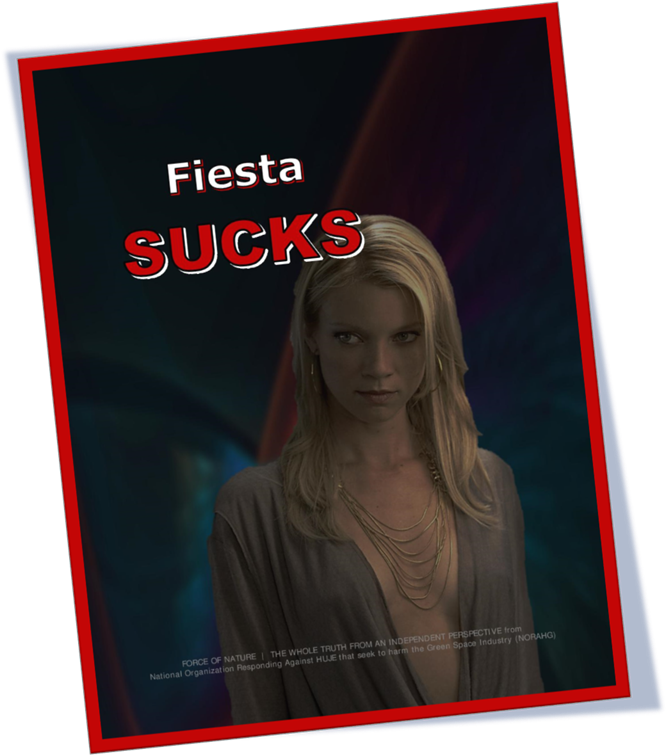 Not surprisingly, the vast majority of Fiesta users overwhelmingly condemn it. Furthermore, when compared to Killex and Par III, Fiesta requires more personal protection for the applicator, especially the eyes. Fiesta requires protective eye-wear, as well as waterproof gloves. By comparison, Killex and Par III require coveralls over a long-sleeved shirt, long pants, chemical-resistant gloves, socks and shoes, but NO eye-wear. Fiesta cannot be considered safer when compared to conventional products like Killex and Par III. The whole truth about Fiesta can be explored through the following links … http://wp.me/P1jq40-1JQ http://wp.me/P1jq40-41t http://wp.me/P1jq40-80R http://wp.me/p1jq40-6ej Fiesta is yet another example of why PESTICIDE BANS ARE A FARCE ! Residents living in prohibition jurisdictions are obtaining conventional pest control products that actually WORK, either from other provinces, or from across the border in the United States. Conventional weed control products like Killex and Par III are still for sale to everyone despite any prohibition. No one wants this #@! !% ban nonsense ! No one wants #@! !% inferior products like Fiesta ! 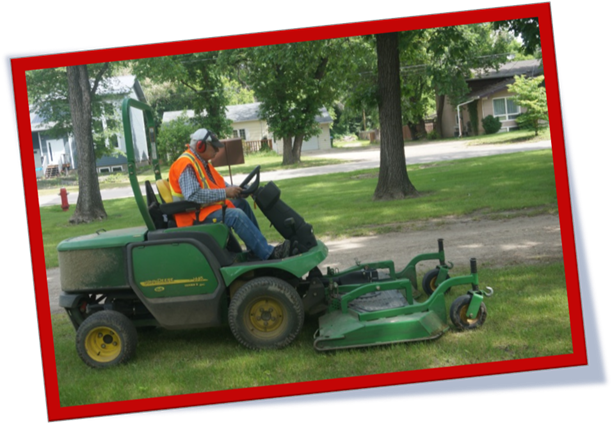 City council resolved a treatment plan with Fiesta Herbicide for more than 60 acres of City of Morden property, which includes some parks and boulevards on main thoroughfares throughout Morden. This year was particularly bad for broad-leaf weeds. We [ saw ] very dry conditions in May, which is very abnormal, so the grass is less vigorous when it starts growing, which allows the weeds to get better established. Before Manitoba enacted the Non-Essential Pesticide Use Regulation in December 2014, the city of Morden was using a product called Par III, which was found to be EFFECTIVE in killing weeds like thistles and dandelions. So effective, that Morden only had to apply Par III once in two years. BACKGROUND INFORMATION ― STUNNINGLY EXORBITANT COSTS INFLICTED AGAINST MANITOBA’S URBAN LANDSCAPES ! ― Are Manitobans witnessing the DISMAL DESTRUCTION OF SAFE TURF PLAYING SURFACES ?!?! YES ! Manitoba’s 2013 Provincial Prohibition DESTROYED public and residential green spaces by turning them into GARBAGE DUMPS. It is IMPOSSIBLE to control damaging pests of turf and ornamentals without conventional pest control products. Here is a summary of garbage dump green spaces inflicted by Manitoba’s 2013 Provincial Prohibition … • children at high risk of tripping and becoming seriously hurt • dandelions the dominant ground cover • dead mature street trees • hazardous slipping conditions in sports turf • invasive noxious weeds like Japanese Knotweed and Giant Hogweed • lawns decimated by insects like white grubs • lawns in entire neighborhoods ruined by pests • parks infested with weeds • rose plantations dying and removed. This is the #@! !% PROHIBITION CARNAGE that Manitoba is suffering. Can Manitoba’s municipal governments and home-owners afford the hardship and cost of this #@! !% PROHIBITION nonsense ?!?! NO ! OBSERVERS EXPECT THAT THE PALLISTER GOVERNMENT WILL RESCIND PROHIBITION IN MANITOBA ! BACKGROUND INFORMATION ― TURF HERBICIDES ARE PRACTICALLY NON-TOXIC ! ― Three-way turf herbicide products, like Killex and Par III, ( containing the ingredients 2,4-D, mecoprop, and dicamba ) are used for the selective weed control in turf. Indisputable and conclusive risk assessments show that, as reported through Health Canada’s vast toxicology database, NO harm will occur when these pest control products are used properly. EVEN IN THEIR CONCENTRATED FORMS ( i.e. the product in its form prior to mixing with water ), the risk assessment for Killex and Par III is PRACTICALLY NON-TOXIC. In other words, these broad-leaved weed control products are NO MORE TOXIC than household items like TABLE SALT and even ASPIRIN. In fact, they are not only LESS TOXIC than Aspirin and table salt, but also baking soda, caffeine, cannabis, ethanol ( beer, wine, and other intoxicating beverages ), nicotine, Tylenol, and Vitamin C. By comparison, the risk assessment for Fiesta Herbicide is also PRACTICALLY NON-TOXIC. I’ll say right off the bat, those risks are quite low for the average person. BACKGROUND INFORMATION ― THERE IS NO ACUMULATION IN THE HUMAN BODY ! ― Pest control products, such as 2,4-D herbicide, is SCIENTIFICALLY SAFE and WILL CAUSE NO HARM. 2,4-D has EXTREMELY LOW MAMMALIAN TOXICITY, has SHORT PERSISTENCE IN HUMANS, and DOES NOT UNDERGO METABOLISM in the human body. 2,4-D is RAPIDLY EXCRETED IN URINE, and half of an absorbed dose is excreted in around two hours. Dr Fortier is an award-winning physician, he was awarded the Queen Elizabeth II Diamond Jubilee Medal in 2012, and the Doctors Manitoba Health Physician of the Year Award in 2013. RESPONSE TO FORTIER ― Big Deal ! Fortier still knows NOTHING about pest control products. He is a mere family physician. Fortier has NO recognized expertise, NO training, and NO background in matters concerning pest control products or their use in the Urban Landscape. And Fortier is certainly NO expert on Green Alternative Pesticides like Fiesta Herbicide. Like ALL Anti-Pesticide Fanatics, Fortier compensates for his lack of expertise by resorting to MISINFORMATION about conventional pest control products. Nonetheless, these fanatics need to have their cravings satisfied as a UNSCRUPULOUS LUNATIC PSEUDO INTELLIGENTSIA. Dr Fortier said that Fiesta Herbicide seemed to be a safer product overall [ WRONG ! ], but ADMITTED THAT HE WAS NOT AN EXPERT ON CHEMICAL HERBICIDES. BACKGROUND INFORMATION ― STUNNINGLY EXORBITANT COSTS INFLICTED AGAINST MANITOBANS BECAUSE OF INFERIOR AND HAZARDOUS ALTERNATIVES ! ― In 2013, Manitoba’s NDP Political Leaders, like Gord Mackintosh, ATTEMPTED TO FALSELY REASSURE THE PUBLIC that so-called safe and effective Green Alternative Pesticides were/are already available to replace conventional pest control products. [ WRONG ! ] Mackintosh even had a bottle of Fiesta on the table in front of him during PRESS CONFERENCES. http://wp.me/P1jq40-1JQ By 2016, Manitobans have been FORCED TO RELY on Green Alternatives like Fiesta ( a.k.a. Weed-B-Gon ), and have LOST their Green Spaces. In fact, the vast majority of users OVERWHELMINGLY CONDEMN Fiesta. http://wp.me/p1jq40-6ej Because of Manitoba’s 2013 Provincial Prohibition against conventional products like Killex and Par III, Manitobans are being arbitrarily forced to rely on INFERIOR AND MORE HAZARDOUS Green Alternative Pesticides like Fiesta. Fiesta cannot be considered safer when compared to Killex and Par III. Fiesta requires more personal protection, such as eye-wear, as well as waterproof gloves. By comparison, Killex and Par III require coveralls over a long-sleeved shirt, long pants, chemical-resistant gloves, socks and shoes, but NO eye-wear. The whole truth about Fiesta can be explored at the following links … http://wp.me/P1jq40-1JQ http://wp.me/P1jq40-41t http://wp.me/P1jq40-80R http://wp.me/p1jq40-6ej Are Manitoba’s municipal governments and home-owners now living in the 17-year NDP reign of anti-pesticide terrorism ?!?! YES ! OBSERVERS EXPECT THAT THE PALLISTER GOVERNMENT WILL RESCIND PROHIBITION IN MANITOBA ! BACKGROUND INFORMATION ― MANITOBA MUST JOIN THE REAL TRENDS AGAINST PROHIBITION ! ― Do Manitobans deserve to have PROHIBITION RESCINDED ?!?! YES ! There are dozens of jurisdictions that have STOPPED or RESCINDED or LIMITED or BEGUN TO REPEAL PROHIBITIONS and RESTRICTIONS, or granted Professional Lawn Care businesses with an EXCEPTION STATUS. Here are examples where there are REAL TRENDS AGAINST Anti-Pesticide PROHIBITION ― • Alberta ( Province ) • Altona ( Manitoba ) • Ashland ( Oregon ) • Beaumont ( Alberta ) • Belleville ( Ontario ) • British Columbia ( Province ) • Calgary ( Alberta ) • Campbell River ( British Columbia ) • Chicago ( Illinois ) • Deer Lake ( Newfoundland ) • Durango ( Colorado ) • Edmonton ( Alberta ) • Everett ( Washington ) • Guelph ( Ontario ) • Guelph-Eramosa ( Ontario ) • Hudson ( Quebec ― Existing Prohibition Morally Invalidated Since Several Government Officials Who Were Responsible For Prohibition Are Now Facing Charges Of Fraud, Corruption, & Tax-Evasion ) • Kamloops ( British Columbia ) • Kauaʻi County ( Hawaiʻi ) • Kelowna ( British Columbia ) • Merritt ( British Columbia ) • New Brunswick ( Province ) • Newfoundland ( Province ) • Ogunquit ( Maine ) • Ontario ( Proposed Provincial Prohibition Against Neonicotinoid Insecticides Stopped ) • Ontario ( Province, Proposed Amendment To Ontario Pesticide Ban, Beginning To Repeal Ontario Anti-Pesticide Prohibition ) • Parksville ( British Columbia ) • Port Alberni ( British Columbia ) • Portage La Prairie ( Manitoba ) • Quebec ( Imposed Provincial Prohibition Limited With Permitted Active Ingredients, And Also Invalidated Because Ban Defeated By Lawsuit ) • Regina ( Saskatchewan ) • Rossland ( British Columbia ) • Saint John’s ( Newfoundland & Labrador ) • Saint Josephine ( Oregon ) • Salmon Arm ( British Columbia ) • Scarborough ( Maine ) • Steinbach ( Manitoba ) • Stratford ( Prince Edward Island ) • Stuartburn ( Manitoba ) • Summerside ( Prince Edward Island ) • Vernon ( British Columbia ) • Winkler ( Manitoba ) • United Kingdom ( Suspended Fanatical European Union Prohibition Against Neonicotinoid Insecticides ) • USA ( A Vast Majority Of States Have Legislated Pre-Emption Laws, Virtually All Proposed Prohibitions Stopped ). The trends against prohibitions continue. No one can afford this #@! !% nonsense ! The public does not want prohibitions. http://wp.me/P1jq40-2rr http://wp.me/P1jq40-2bo OBSERVERS EXPECT THAT THE PALLISTER GOVERNMENT WILL RESCIND PROHIBITION IN MANITOBA ! For The Whole Truth About FIESTA, Please Explore The Following Links ..